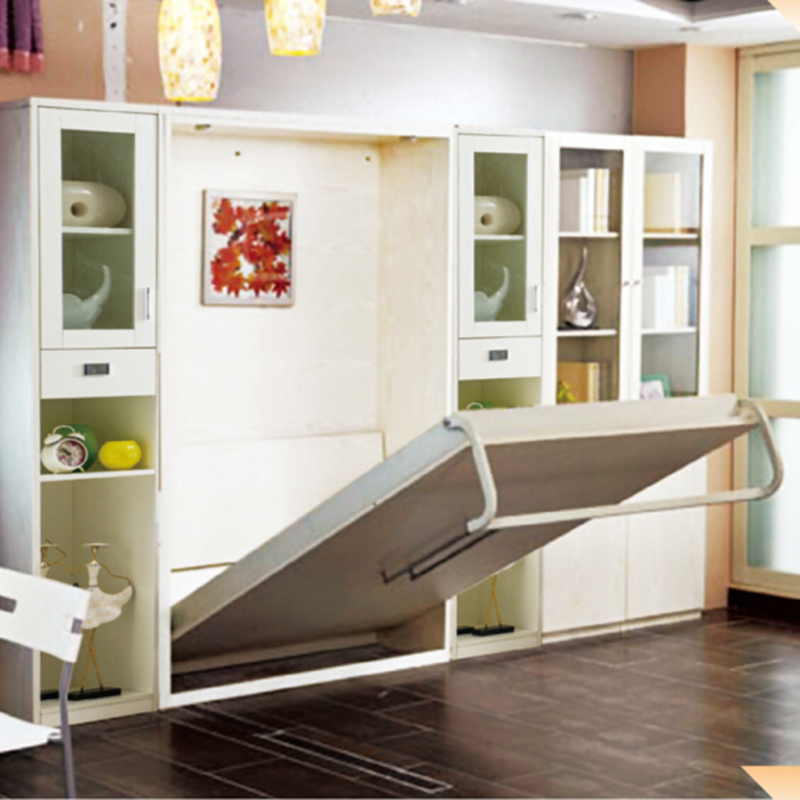 We are a manufacturer of Murphy wall bed with more than 20 years experience. We have a professional designer team to meet every customer's need. 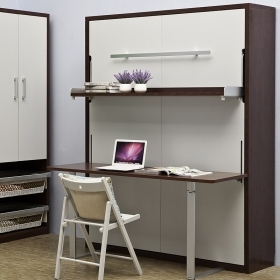 Make your bed and put it away behind a gorgeous cabinet until it is needed again. 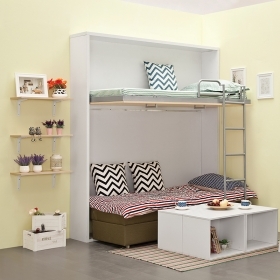 That is the genius behind wall beds from TALL Furniture. Combining the principles of Murphy beds with our own custom made cabinetry, finishes and accessories, wall beds are the perfect way to save space and enhance your lifestyle. We focus on each details. 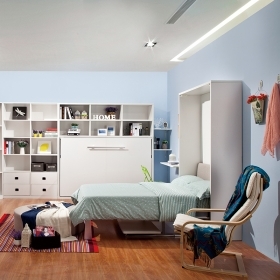 Match Murphy wall bed maximizing to utilize the small bedroom space. 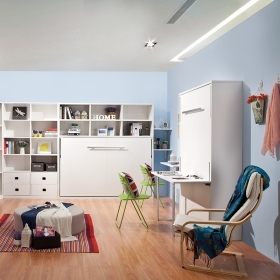 Simple and exquisite design, meet the storage needs of your life. 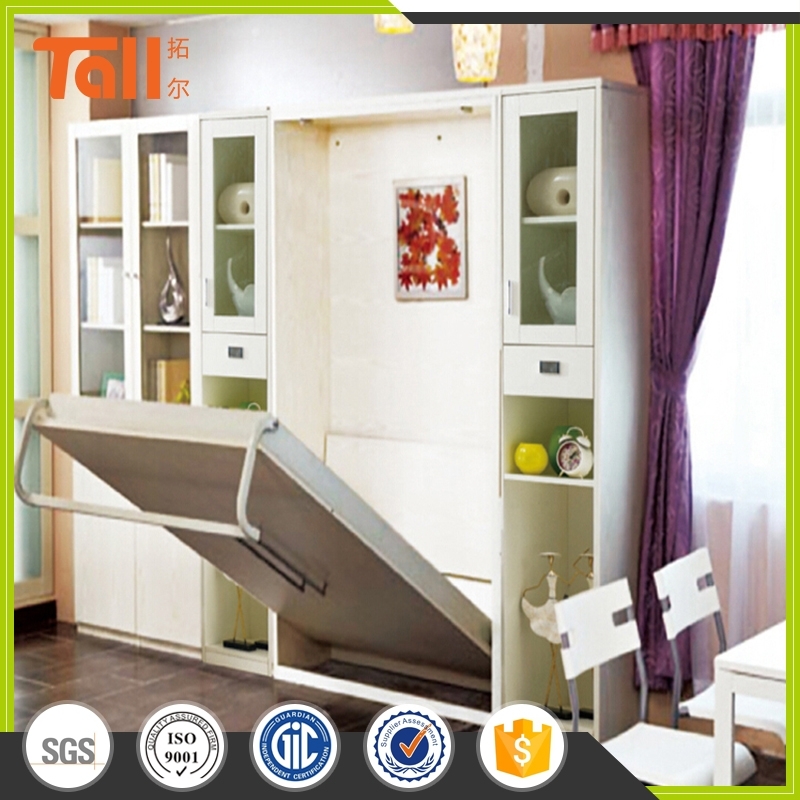 Safe and high quality metal guide rail, safety bearing, push and pull smoothly, and environmental protection E0 level particle board. 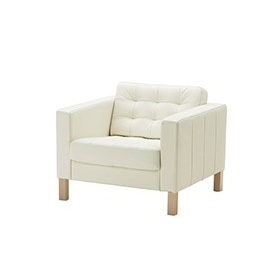 High quality comes from good workmanship. 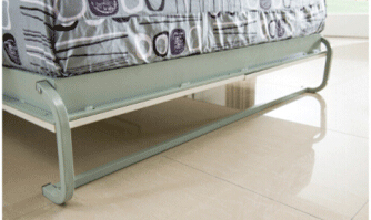 Free scale metal supporting leg, bearing up to 500 KG. 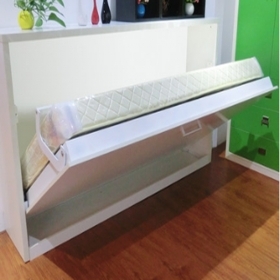 not only has the function of supporting the bed body, but also can fix the mattress, and the operation is easy. The surface of the metal using high temperature electrostatic powder processing, not easily off paint, wear and corrosion resistance.